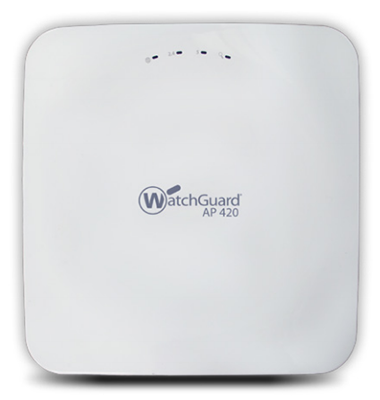 The AP420 is the fastest indoor access point from WatchGuard, offering blazing fast wireless speeds with its 4x4 802.11ac Wave 2 chipset and comes equipped with multi-user MIMO (MU-MIMO) technology allowing many smartphones, laptops and tablets to be served by the AP420 at the same time - no more waiting to connect to Wi-Fi. With a third 2x2 MIMO dual band radio for dedicated Wireless Intrusion Prevention System (WIPS) when the WatchGuard Wi-Fi Cloud is enabled, so you don’t have to sacrifice performance for security. Best for tradeshow floors, auditoriums, meeting rooms, and shopping malls. 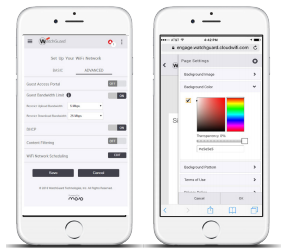 You can manage AP420 access points with either a Firebox, via the Gateway Wireless Controller with lightweight feature set, or with WatchGuard’s Wi-Fi Cloud. 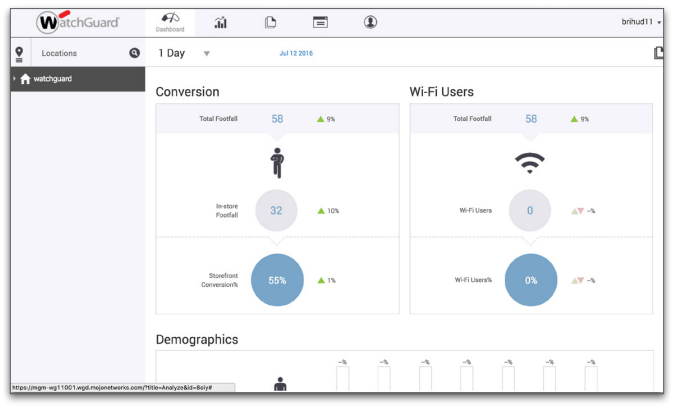 And with the Wi-Fi Cloud you get an expanded set of features including strong WIPS security, marketing tools, and location-based analytics for optimal business insights. Incorporating the latest 802.11ac Wave 2 standards, you’ll have speeds of up to 1.73 Gbps over the air, without sacrificing security. 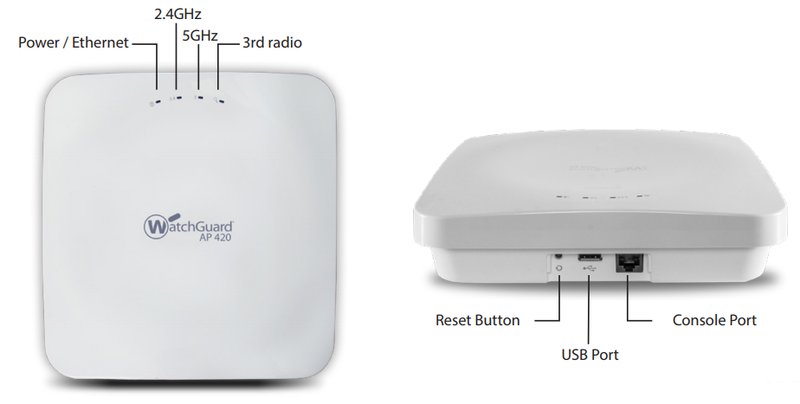 When managed by the Wi-Fi Cloud, the AP420 comes equipped with a third 2x2 MIMO dual band radio for dedicated WIPS, RF optimiza- tion, spectrum monitoring, and troubleshooting built in. Using patented Marker Packet technology, WatchGuard’s cloud-managed WIPS defends your airspace from unauthorised devices, man-in-the-middle and denial-of-service attacks, rogue APs and more. Now with a dedicated WIPS sensor included, the AP420 can be added to any existing Wi-Fi network for a powerful layer of patented security features simply unavailable in most APs. 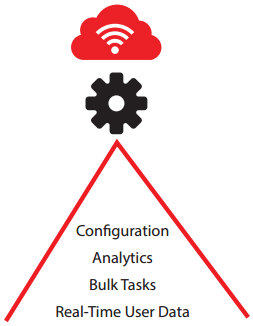 WatchGuard’s secure Cloud-managed APs deliver the most comprehensive set of features for the price - including marketing tools for customizable user engagement and location- based analytics for enhanced business insights. 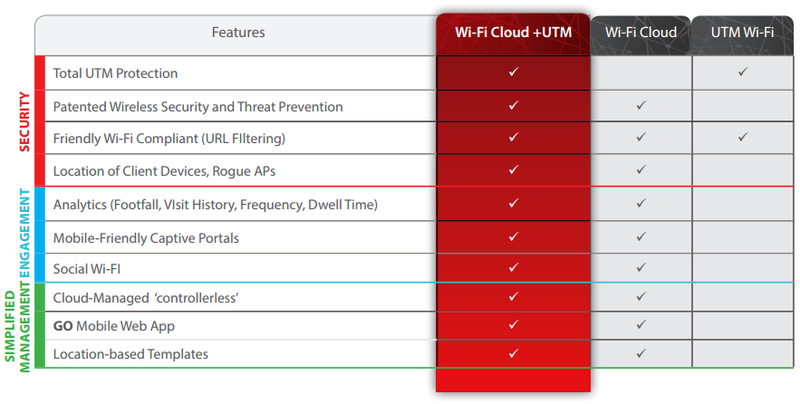 With the WatchGuard Wi-Fi Cloud, IT pros can enjoy an entirely controller-less Wi-Fi management experience including setup, configuration, monitoring, troubleshooting, and improving corporate and guest Wi-Fi access, without worrying about the limitations of legacy controller infrastructure. Wi-Fi Cloud environments easily scale from one to an unlimited number of APs across multiple locations. 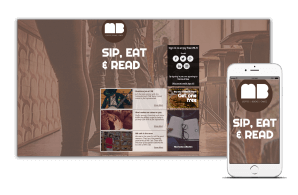 APs can be grouped in many ways, including location, building, floor, and customer to maintain consistent policies. Download the WatchGuard AP420 Datasheet (PDF).